← Halloween 2014: A Ghostbusting Good Time! WHAT LEVEL DO I NEED TO BE ON TO START THE GHOSTBUSTERS: QUAHOG HALLOWEEN EVENT? You need to be up to date to Version 1.3 in your app market. You also need to have District 3 Completed. WHAT IS THE START DATE FOR THE GHOSTBUSTERS: QUAHOG HALLOWEEN EVENT? 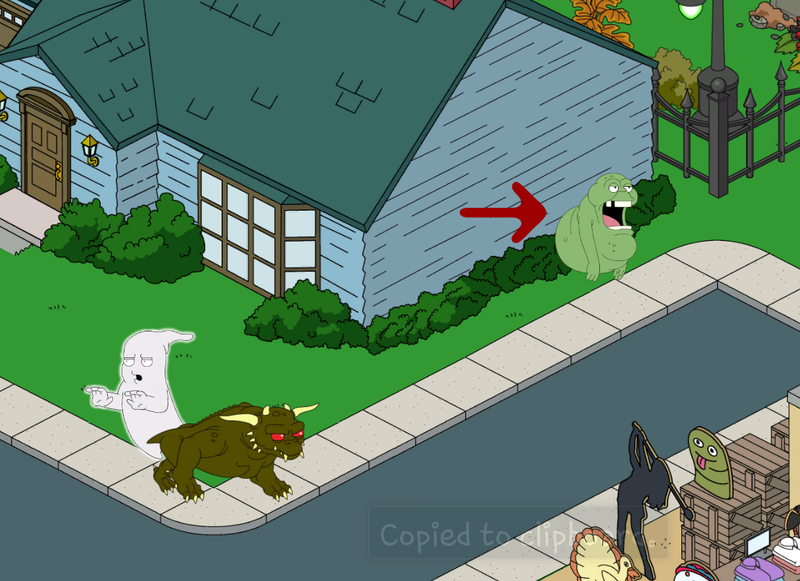 WHAT IS THE END DATE FOR THE GHOSTBUSTERS: QUAHOG HALLOWEEN EVENT? November 7th, 2014 (You can view this information by tapping on the Witch’s Cauldron. 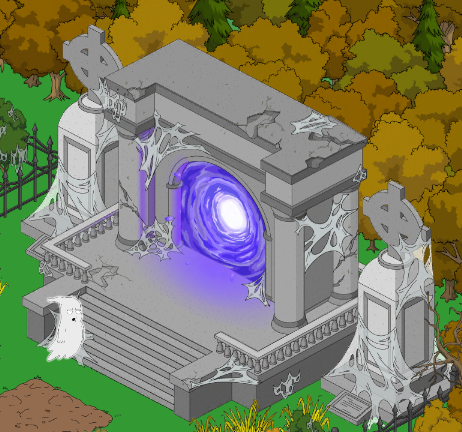 WHAT IS THE HALLOWEEN PORTAL? The Portal opens up into Quahog and demonic creatures spill out of it. You can use the Portal to earn Fright Points. Fright Points will increase your Fright Level. Fright Levels are an Upgrade to the Portal you can do each week to unlock lots of cool new Halloween Content as well as new kinds of ghosts to clear. Ghosts are good, they will drop items you need to progress this event. HOW DO I GET FRIGHT POINTS? You can get Fright Points by completing actions, brewing prizes, collecting rent from the Ghostbusters Headquarters, or placing Halloween Decorations. You need the points to also Updgrade to new Fright Levels. HOW DO I GET SPIRIT VIALS? In order to get Halloween prizes and unlock Ghostbuster Peter, you will need Spirit Vials. To get them, you will need to clear the ghosts taking over your Quahog. Each one cleared is a possible chance at the Spirit Vials. 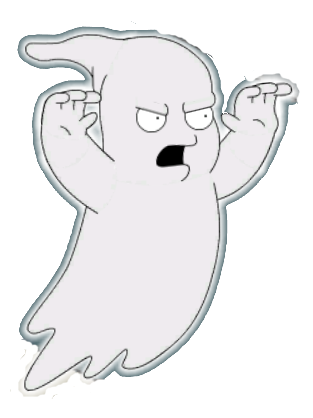 Just tap on the ghosts to clear them and watch for a Spirit Vial to drop. WHAT IS THE SPAWN RATE FOR THE GHOSTS? Locate the Portal and look for the “NEW GHOSTS TIMER” at the bottom. It will show you when the next ghost will spawn in YOUR town. Of course there will also be an option to speed up this process to instantly if you are willing to part with some Clams. (The Spawn Rate is still a work in progress so it will vary right now, but MORE Ghosts is a good thing. Lol.) You can have a total of 12 Ghosts in your town at one time. This rate will increase later on with your Soul Level. WHAT ITEMS WILL THE GHOSTS DROP? 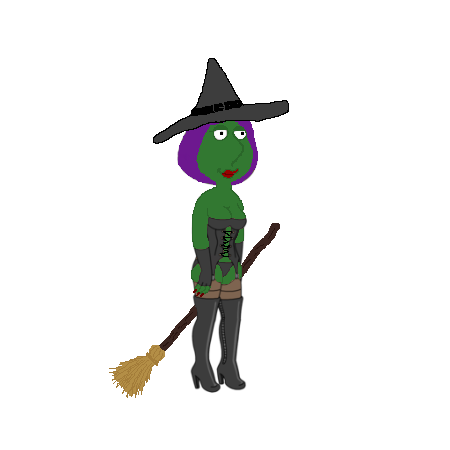 HOW DO I GET HALLOWEEN PRIZES FROM THE WITCHES CAULDRON? Each prize will need to be brewed and brewed separately. You will require items to make the brew. These may include Spirit Vials, Terror Dog Bones, or Banshee Tears. Which can be earned by clearing the Terror Dogs. If you REALLY like a Halloween item and want another, you can collect more items and brew that prize multiple times. HOW DO I CLEAR THE TERROR DOGS? HOW OFTEN DO THE TERROR DOGS SPAWN? Much like the ghosts, just tap on the Portal and it will let you know when the next Terror Dog will arrive in YOUR town. (They start appearing the moment the Haunted House is repaired, just can’t tap til Peter is done.) 6 Terror Dogs MAX can be in your town at a time. This will increase later with your Soul Level. HOW DO I GET GHOSTBUSTER PETER? 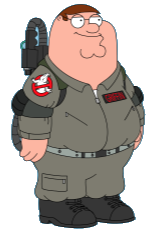 You have until the end of the Halloween Event to unlock Ghostbuster Peter. As long as he is complete and walking around your town before the event ends, you get to keep him. If you are still collecting items by the end of the event, you will lose him. HOW DO I GET DIANE SIMMONS? A Thank You to TinyCo for listening. They added a lil info to Diane’s grave pop up now when you tap it. Things like this is why I adore them as a company. Listening to their players concerns (and Addicts pestering them. Lol). HOW DO I GET SLIMER? Slimer is Exclusive to Android Devices, so in order to see him you will need to be playing on an Android Device. He will appear shortly after “I AIN’T AFRAID OF NO GHOSTS” Part. A pop up will appear in the game when he spawns, so you gotta watch for it so you can take him out quickly. He appears every 8 hours for only 2 mins at a time. FYI…he is NOT a character. He is more like …another ghost. Just something to zap so far. Will update if it changes. For now, that is it. This is what he looks like in town. He does blend into the greenery, so keep an eye out. Also, just like characters, he sticks to roads so those hidden ones won’t be of any use to you if he is back there. We are also seeing a glitch that speeds you through the 3 Slimer’s task. It has been reported. No worries, he will still spawn. So there you have it. All the basics in a nutshell. What do you think of it all? Lots of excitement? Let us know. 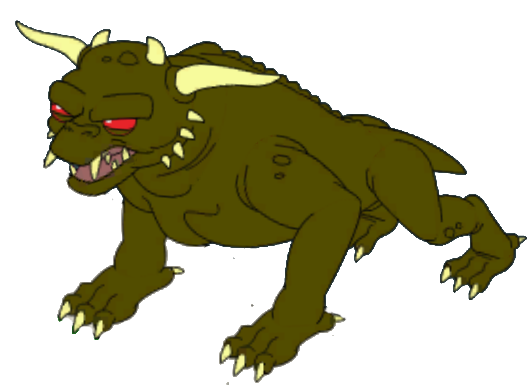 This entry was posted in Special Event, Tips and Tricks and tagged Family Guy Addicts The Quest For Stuff, Family Guy Ghostbuster Update, Frequently Asked Questions, Quahog Halloween 2014. Bookmark the permalink. We are NOT TinyCo. We do NOT work for TinyCo. We are the Addicts. 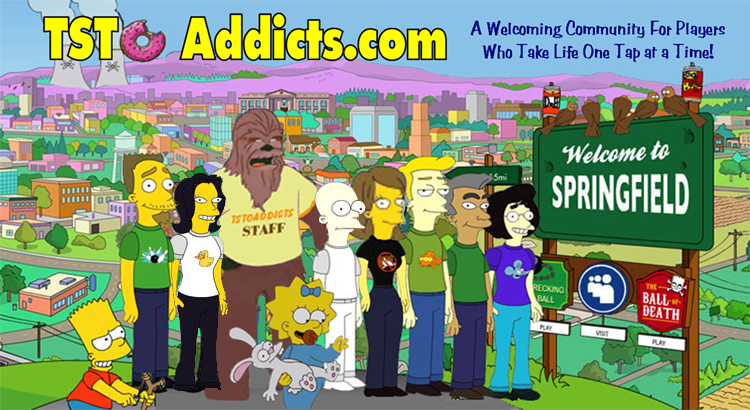 Want to try again, this time LESS language and some respect for the Addicts Site Guidelines? So how can I speed the times for the stink bombs that each character has to make? I got pink Brian doing pretty in pink and everyone else is doig the 8hrs quests. Can tiny co extend the time for 2 more days? I really want the zuus portal. Before I repair franis grave. What do I need to do to after I repair his grave? What does the Monster from space-ace-ace-ace do? I’m really bummed with all the “android” exclusive items. Is there a readon why TinyCo does this? I only have access to IOS devices and get super jealous that my friend has robo joe and slimer running around his town. Not fair, TinyCo!!! It is more a thing on the App Market side. It does benefit ALL players in the long run. The game then resets to before I tried to brew it. Odd one there. All I can suggest is try the basic troubleshooting…then TinyCo if doesnt help. i got exactly there same…. did you get it resolved…. please anyone help!!!! the same being …. found not find close button ‘button_close’ i have also found i can not brew anything even the smaller items i have brewed before !! please help??!!! Contact them. We can report it, but they need to see it happening live in a game to locate issue and provide a fix. Messaging them through your game really helps the issue to be corrected. Ugh I wish I had that tip before I released Diane! I repaired the grave and tapped in the check mark which started her timer. I hope they bring her back to give us a second chance at getting her! I stopped getting the “zombies” that Predator and GB Quagmire say. What causes them to reappear? Does Octomom do anything or just deco? Banshees won’t appear until you unlock gb quagmire. And ocotomom is just a decoration. Um… I’ve got banshees roaming around, but I’ve not yet unlocked GB Quagmire. Also, a quick question… I recently got another logo at the bottom RH corner which, upon clicking on it, says “there are no more poltergeists!” Is this something for the future? Because, other than the grey ghosts, I never saw any poltergeists. Or did I mess up a task? Does anyone know the exact drop rate for spirit vials from ghosts? Also, has it changed since the start of the event? During the first week, every ghost dropped either spirit vials or occasionally bones, now most of my ghosts drop nothing, but also seem to drop clams and bones more often. I really need more spirit vials, but I seem to never get them from grey ghosts now. Did they make it so they only drop from characters/buildings and Terror Dogs/Banshees? This is getting frustrating since I can’t afford the spirit vial machines, and I need a sh!tload of vials for Ghostbuster Quagmire. Any help? In order to NOT mess with other drops…the drops are still pretty close to same, it is just once you no longer need or get the other items…there is kinda a blank space…so it may give the illusion of less drops. We had them check into it too and verify. They were looking into it and by last reports they should be dropping as set. UHM I went to reinstall the game, and it’s saying there’s no account associated with my e-mail… Kinda freaking out here. Did I delete my account by accident?? Is that how you first logged in and saved the game? You need to follow whatever you did previously. Whether Facebook link, email, or gmail. I didn’t get Diane. Am I screwed for the rest of the event? No, you’ll still be ok with the event despite not having her. I tapped on Dianne too early and now only have two days to create Ghostbuster Peter and get stuff. I’m never going to do it! Can Dianne come back later? A little confused here, I accidentally clicked on Diane before I got GB Peter, but I got the bones I needed for the first bubble anyway. Now it says I need 3 banshee tears to get the last thing to unlock her, but those are not available yet. Her timer runs out for me in a little over a day, so this basically means I either need to spend the money to get 200 clams or I won’t be getting her? The Zombies don’t take Banshee tears??? Both are only bones and vials. Are you sure you are looking at the right item? If I buy the premium buildings and graveyard will they drop other items like the bansee tears and items to unlock the other costumes? We do not know as the other items are not live in the game. Is there a way to earn more dog bones besides Peter zapping terror dogs? Not sure if this was answered somewhere else, but is there any significance to the items in my storage that have a “Halloween” info button and those that are regular? Since most of the Halloween items are from previous events, I can’t make rhyme or reason. For instance, the Nailgunner and Tri-Cycle are both Halloween, but the Fabu-bus and Fabu-jet are not. Will placing these Halloween items lead to any type of benefit? Seems just an image glitch. That or they are suggesting they may look cool for Halloween. Lol. You can send them a report if you’d like. So does the portal auto upgrade when the timer runs out if you are at the correct Fright Level? Well, you have to tap it to make it happen, but otherwise yes, it doesn’t cost anything or take any amount of time to complete. Will achieving a higher fright level than required (I’m nearing 5) give us a higher portal when released weekly? On a related note, how many fright levels & portals are in the game? Has anyone received the Banshee Tears yet or does the portal need to be upgraded first? If so where do yet them?. I’m only missing the octomom before i have all the current portal prizes. Banshee Tears are not in the game yet…you’re stopped prior to getting Octomom until TC releases more content…. So my question – do we keep having Peter zap the terror dogs and continue collecting the bones? I am wondering if I should stop collecting the bones and save up the dogs if they convert their drops to banshee tears or if the tears will come from a different portal character. At this point, we don’t know if we will need more terror bones down the road I suppose? As they are not released yet, we do not know. We are waiting for the update tonight to see what else it brings. After I got pink Brian was I supposed to get 50 claims? Is there any way that Diane Simmons quest can be extended? Opened it by accident. Did you check your inventory storage? I can’t find my scarecrow, Chomps, or Ghostbusters sign. I’ve checked my inventory at least 10 times. I came here to peruse all of the questions to see if anyone else had the same issue. Put your game in movement mode and see if they are hiding behind anything..
Has anyone been able to upgrade their portal yet? Or does it have the chance for the upgrade at the same time for everyone? My timer still says 3days+ away. So if I make the electric ball and the zombies before I dig her up they will still count? Or should I just have all the ingredients ready and make them after I dig her up? They’re supposed to, and others are reporting they do count. Personally I’m collecting all and then digging her up. I think that’s what I am going to do too. Just in case. So other than the electric ball and the zombies, what else would we need? How can I email you guys a pic? I have a pic of GB Peter zapping s Terror Dog right in front of the portal! It’s super cool! Thanks guys! I also brewed a scarecrow but with no further information, expected it in my inventory, but nothing was there. There is a tick under the picture, presumably saying I brewed one, but can anyone confirm once you brew anything, what do you do next? Mine brewed. Gargoyle too. Went right to inventory. Went to inventory and placed it. If it wasn’t clear enough it took me a day to get Peter after I dug up Dianne. Im not sure if anyone else has said this but to rush Diane is 400 clams. 200 per decoration, regardless of bones or ghost vials. If you plan on rushing just one decoration do the zombie as they are more expensive than the electricity ball. I wonder if the graves are like flag poles, and might get other characters. Mutual would be good but the funniest would be Natalie with a quest for Quagmire to avoid her and try hide her from his friends. How do you get Banshee Tears jars to brew Octomoms? Does anyone know how to get banshee tears? Since I updated on Friday, haven’t been able to play the game, I click on my game and it starts to load then says error config engine title, think I’ve missed out now on pink Brian since I haven’t been able to play 😦 not sure how to fix im using and iphone 5 and its totally updated I’ve also uninstalled and reinstalled my game nothing has worked !! Any info would be great !! Contact them at this point as you already troubleshot. Trying to fully understand getting Diane Simmons. Under He’ll Hath No Fury Pt 1 – can I click on dig up Diane Simmons without starting the timer? The other one clearly says Save Diane in 5 Days? But I want to make sure that the first one doesn’t trigger the 2nd automatically since I have just started zapping terror dogs. Also I just got Mayor West and I’m on Mayor Runs the Town Pt 2. It’s a 24 hr task. I completely forgot to clear the Dawgs. (I’m so used to seeing them now). Should there have been a prompt from West or Stewie to start this? Thanks for all your help. You galso are great. No prompt for peeing dogs. Her timer starts the moment you tap that checkmark for completion of grave repair. I’ve completed Adam West’s perfume quest twice today and both times I push the craft button after getting all my colognes and suddenly all the colognes disappear and I have to start all over like I’d be er even started the quest!! They are working on issues with factory, please see the glitch post for more info. The terrordogs wont spawn in my town. The timer runs down and then nothing happens. Just a new timer comes up. See this post for details..
Just to be absolutely clear, to unlock diane, can you have the two items made and placed in your town before you dig her up and still have them count towards her? Please reply if you know the answer, I would really like to know. Yes. You can create the items BEFORE you dig her up and they’ll count towards her once you dig her up. I dug up Dianne without knowing there would be a timer. I have no chance getting her now as it will take me too long to get ghostbuster Peter. So basically it seems to play this game you need to come on to this site and read all the spoilers inorder to have a chance at getting everything. Actually, I finished the task on android and went back to IOS, and have had slimer come up over the last two days on iOS. Only went to android to start the quest. Now everyday Peter tells me slimer is on the loose and catch him, also the side quest for slimer, I finished on IOS. I’m seeing it on iOS after logging in on Android once. So, the slimer quest wasn’t supossed to appear yet? How do I upgrade my portal? You can only upgrade once a week. So it won’t be available until next week.. I remember I always talk crap about tinyco and how they make everything so expensive when I first start out the game but over time bunny, Alissa and tinyco really made me change my mind about them. They are a great company and they do listen to us unlike most others. Actually I don’t think any games ever try to fix my problem when I ask except for tinyco. Just like that little side note that they put on Dianne to warn people tells me the r listening to us. Well I give most of that credit to the addicts, and tinyco really have my respect now. So thank u girls. Lol. You are right in that there are MANY Joe’s. My suggestion is to maybe make a gravatar with an image to set yourself aside if you’d like. Maybe TinyCo could have a ‘cooling off’ period. If you don’t get her in 5 days, you can try again after a week, but it would be tougher. Just a thought. I purchased a scarecrow and can’t seem to locate it in my library so I can place him. Any tips would be awesome, I’ve been searching everywhere I know to look. Thanks. Inventory is where they usually run off to. I have a question about the prizes. Since we can brew the same one multiple times, can we also skip one? I don’t do spiders, and I don’t want Octomom in my town. I’d much rather skip her and use those resources toward the next prize, if possible. Whew! Good to know. Thanks, Bunny!